Should you buy before you sell or sell before you buy? 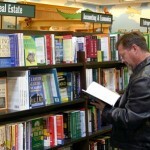 home > News > Real estate news > Residential sales > Sales tips & advice > Should you buy before you sell or sell before you buy? This can be a tricky question to answer. The risk with buying first is that you may over or under estimate what your current home is worth, and accordingly over or under spend on your new home. Under spending isn’t so much a problem as over spending, for obvious reasons, although knowing how much you have in your pocket may let you get that house you might otherwise think is out of your price bracket. In a weaker market, and in circumstances where you can’t afford to be servicing two mortgages, buying first will put you in a weaker position and may force you to sell at a heavily discounted price. On the other hand, when you sell first in a market that is strong and/or strengthening, you may find that you end up purchasing your new home in a higher market than the one in which you sold. In a seller’s market and/or when stock levels are low, it may be difficult to secure a suitable property, and you may end up having to rent in the interim. Generally, therefore, it is best to sell before you buy in a buyer’s market, and buy before you sell in a seller’s market. However, much will depend on your personal circumstances, the nature of your property, the type of property you plan to purchase, and your tolerance for risk. We recommend speaking to a good local agent about the conditions in your area before making a decision either way. If you live in Sydney’s east, call Alex Hart on 0418 245 018 to discuss your options. Have you ever brought and sold property within a short time-frame? What was your experience? Sign up to receive more real estate news and advice straight to your inbox.